The all inclusive beachfront resort Park Royal Cancun offers guests an authentic Mexican experience overlooking to gorgeous Caribbean Sea. 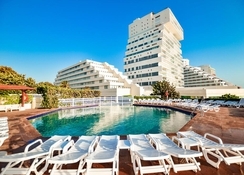 Ideal for families, couples and solo travellers alike, this stunning hotel offers a medley of entertainment, from gorgeous swimming pools overlooking the beach, to live performances, a relaxing spa, exciting kids' clubs, lagoon watersports and much more. The hotel's comfortable rooms and suites are divided into two categories and are housed in pyramid-style buildings, facing the sea and Nichupté Lagoon – bliss. With eight gorgeous in-house restaurants and bars available, guests will be spoilt for choice when it comes to food and drink opportunities, especially with regards to the all inclusive package. 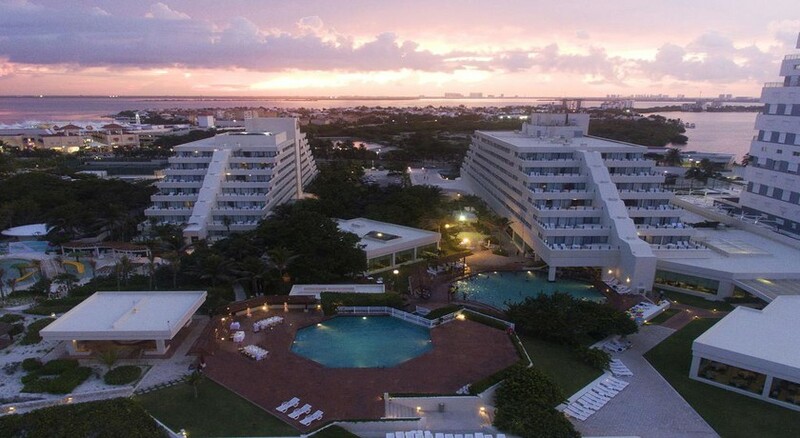 Outside Park Royal Cancun there's plenty more to discover, laze on the white-sand beach, meet the nearby Mayan ruins of Yamil Lu'um, browse the La Isla shopping centre, or simply mooch around the popular Hotel Zone. 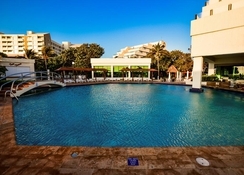 Situated in the Hotel Zone of Cancun, this resort is right on top of Cancun beach with many popular attractions within a two kilometre radius, like the Tequila Museum (1.2km) and La Isla Shopping Mall (450m). Marlin Beach and Cancun Interactive Aquarium are within one kilometre from the hotel, a fab day trip for kids. 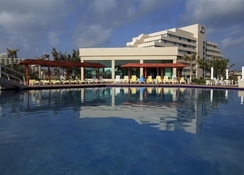 The Cancun International Airport is about 20km from the hotel. 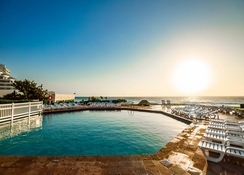 The hotel provides 288 luxury guest rooms with amenities such as adjustable air conditioning, full bathroom with shower/tub combination, flat screen cable TV, direct dial telephone, hairdryer, secure electronic key and more. Guests can choose between Standard Rooms and Presidential Suites, based on their preferences. The best part? 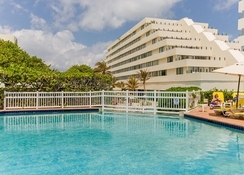 Guests can appreciate views of the Caribbean Sea, the Nichupté Lagoon or the tropical gardens. The La Veranda restaurant is the ideal meeting point to relax, unwind and indulge, while enjoying the daily, and delicious, buffet-style food that's on offer. El Mirador offers authentic Italian cuisine in a romantic and luxurious atmosphere, framed by unbeatable Caribbean sunsets. 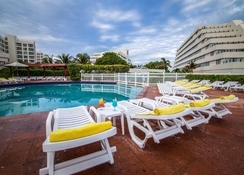 With a wide variety of national and International drinks, the hotel also features the following bars – Lobby Bar, El Jardín, La Duna beachside bar, La Langosta and a snack bar called Patio La Veranda. From fun-tastic watersports activities to sumptuous spa retreats, Park Royal Cancun impresses with a medley of in-house entertainment. Enjoy aquatic aerobics, dance, bingo, beach soccer and beach volleyball, karaoke at night along with engaging entertainment and live performances. Get the most of the alluring Caribbean waters too, with exciting activities like scuba, snorkelling, kayaks, hobby cats, sunfish sailboats, pedal boats and windsurfing.